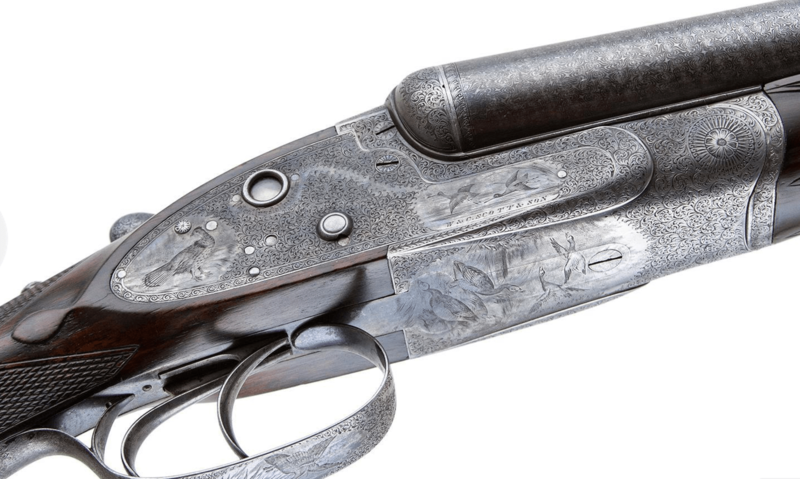 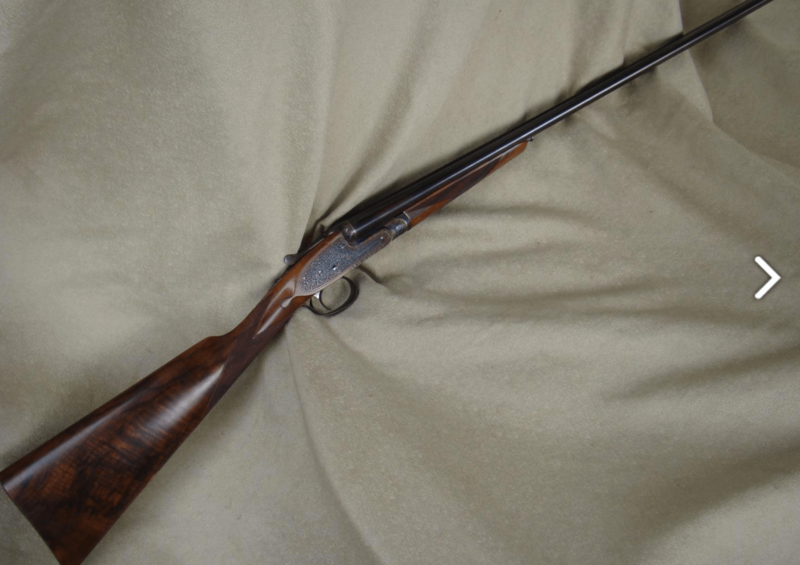 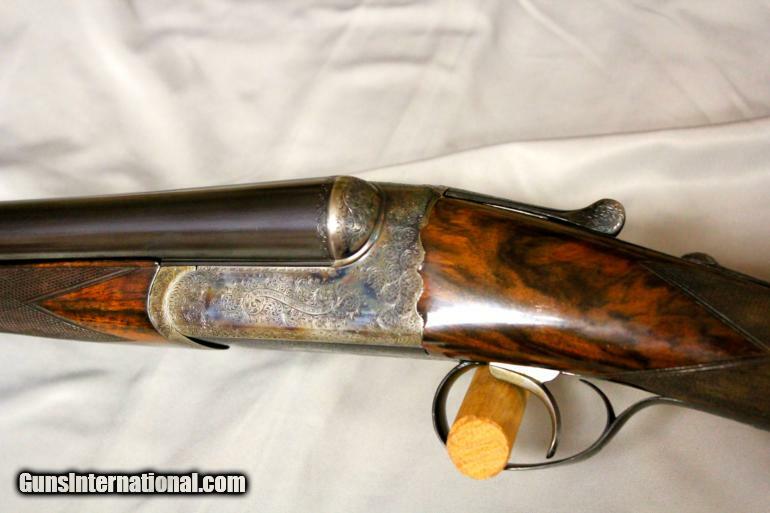 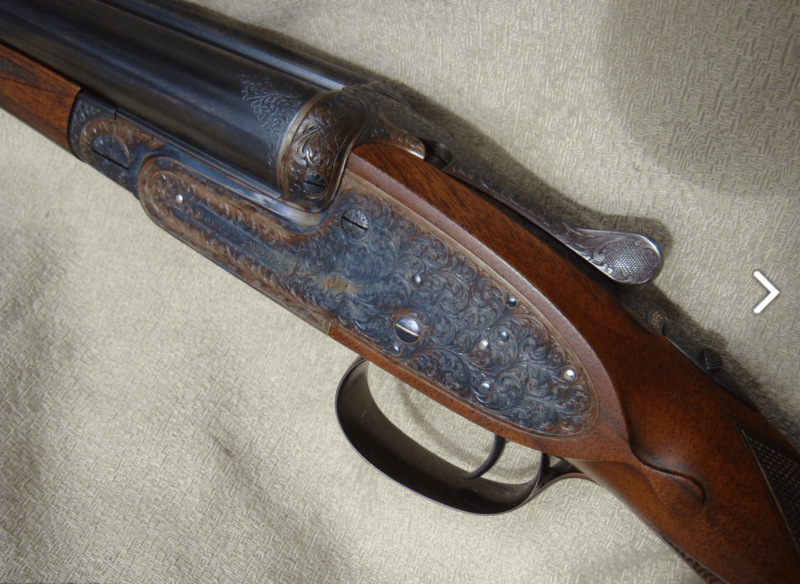 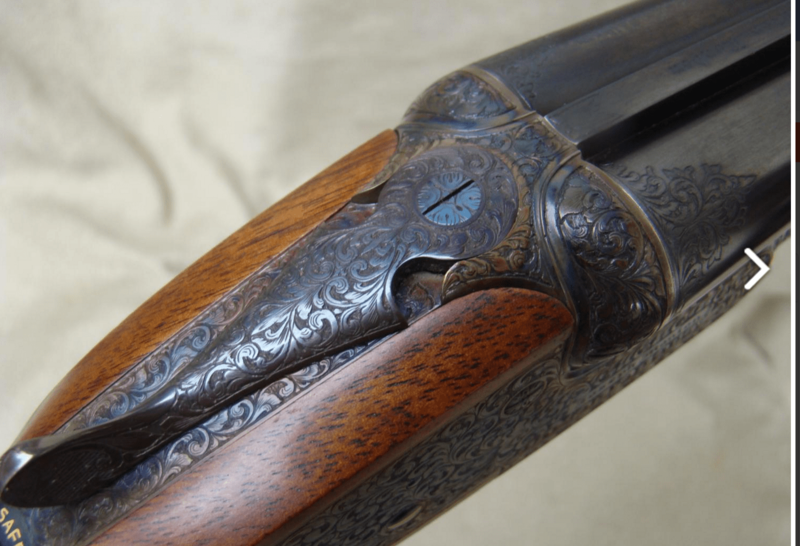 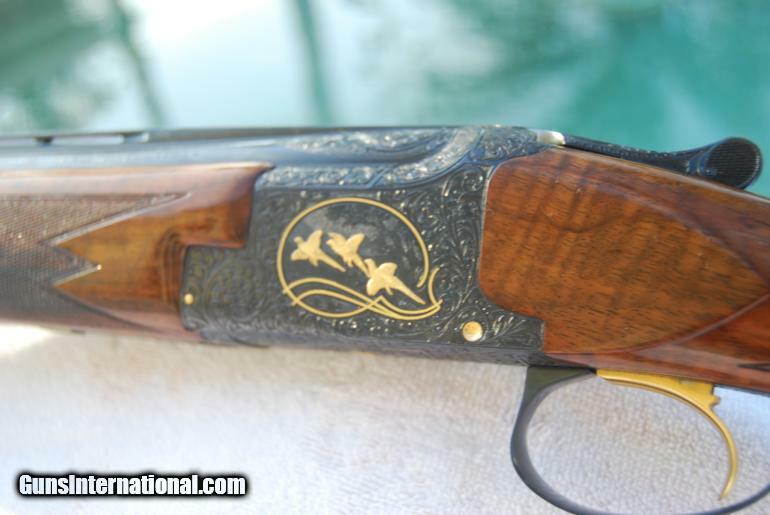 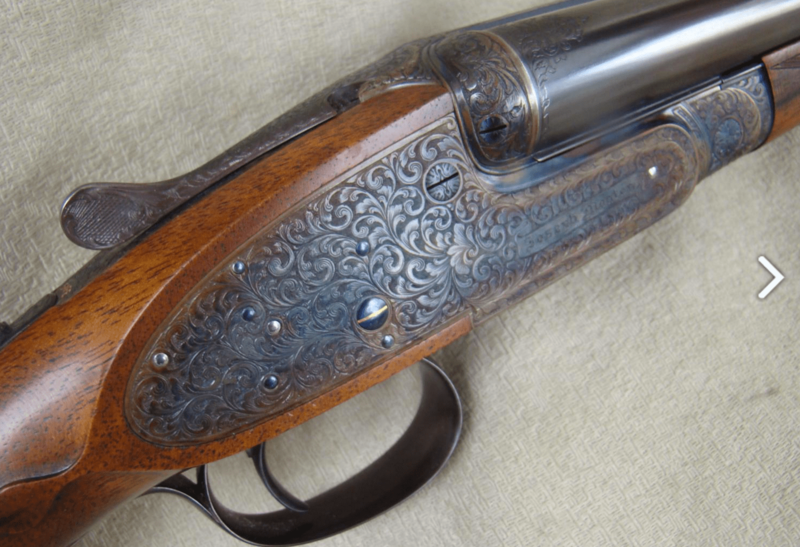 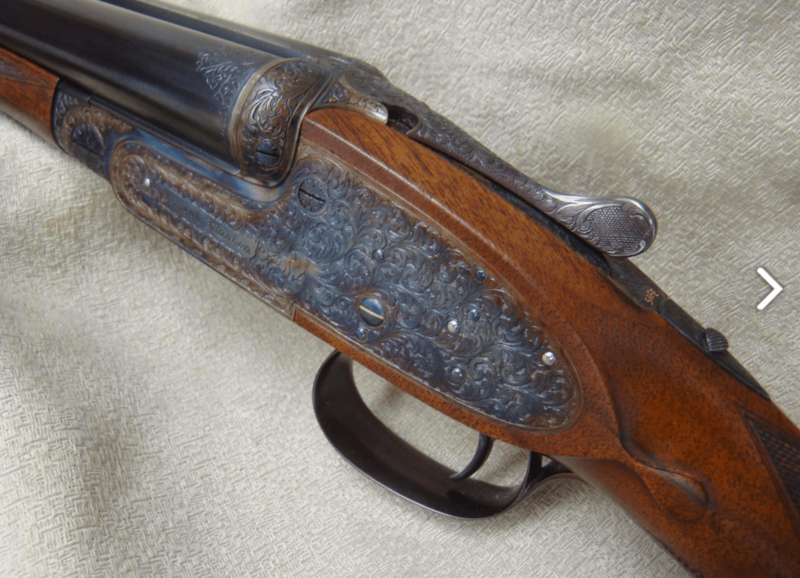 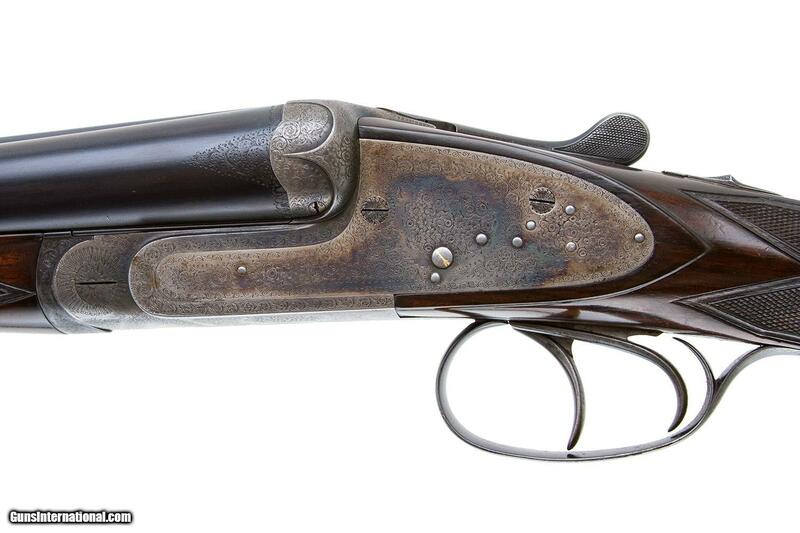 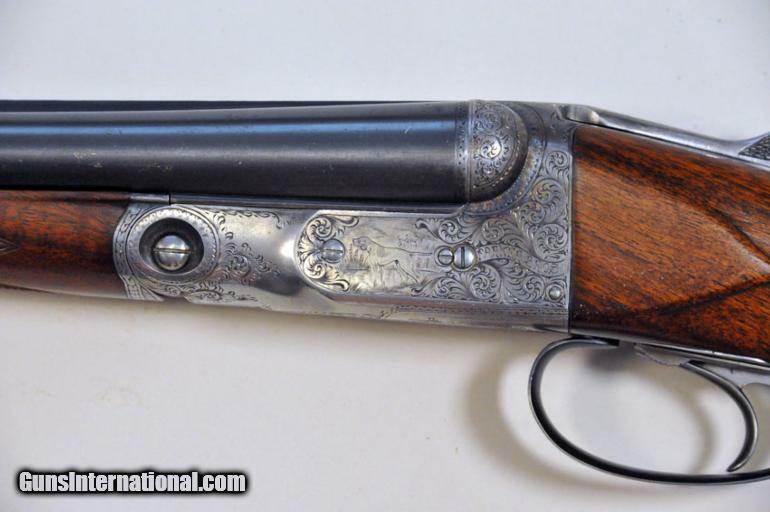 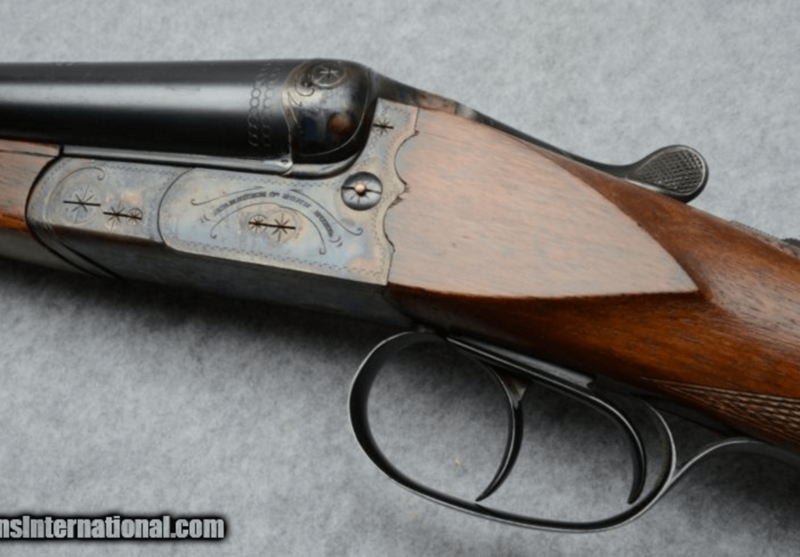 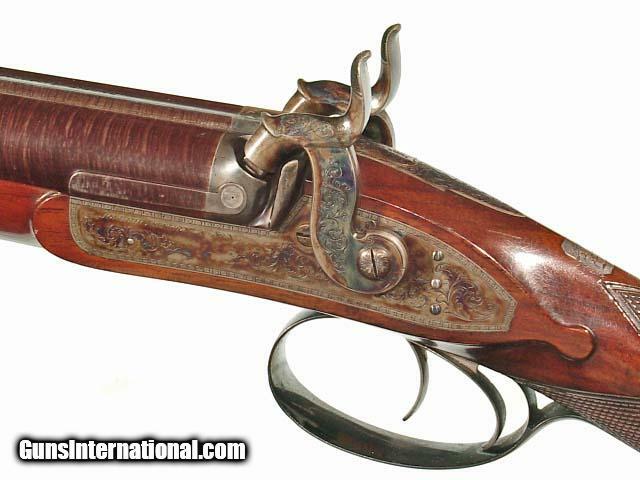 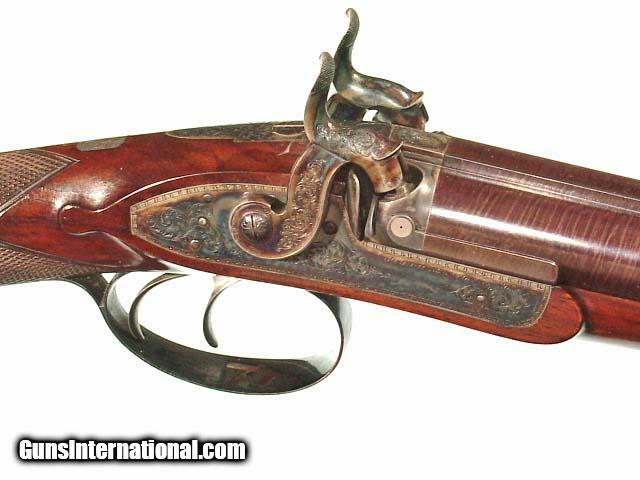 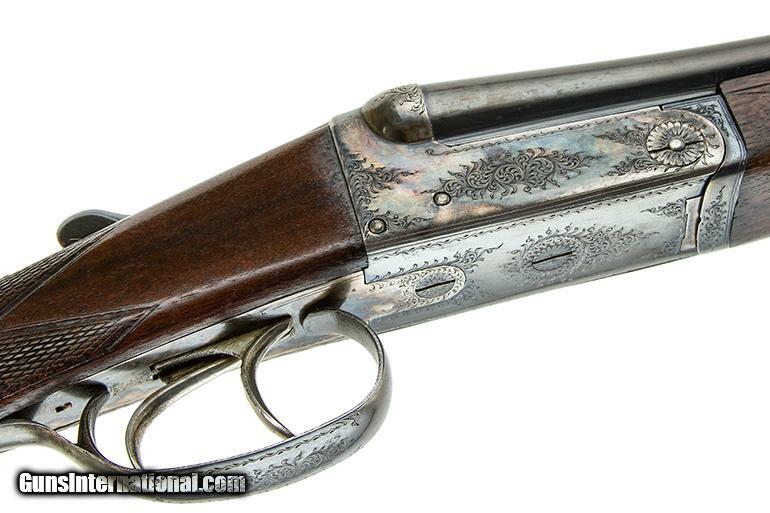 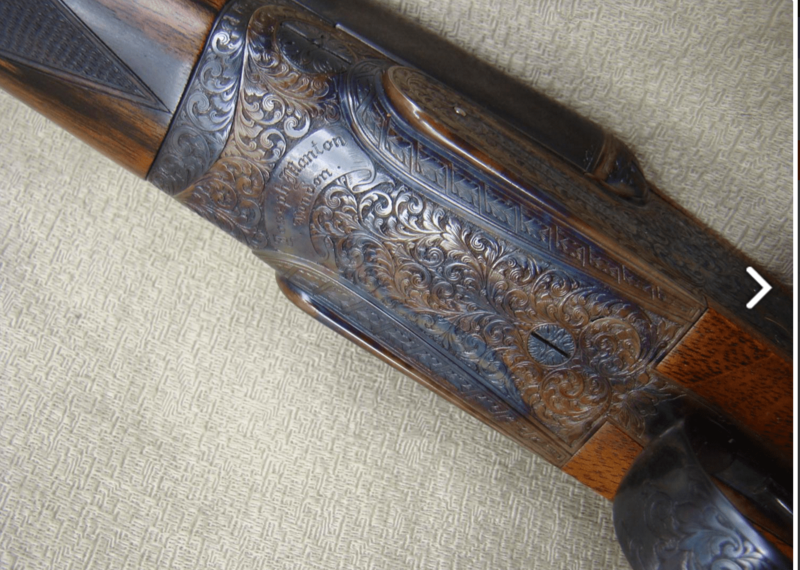 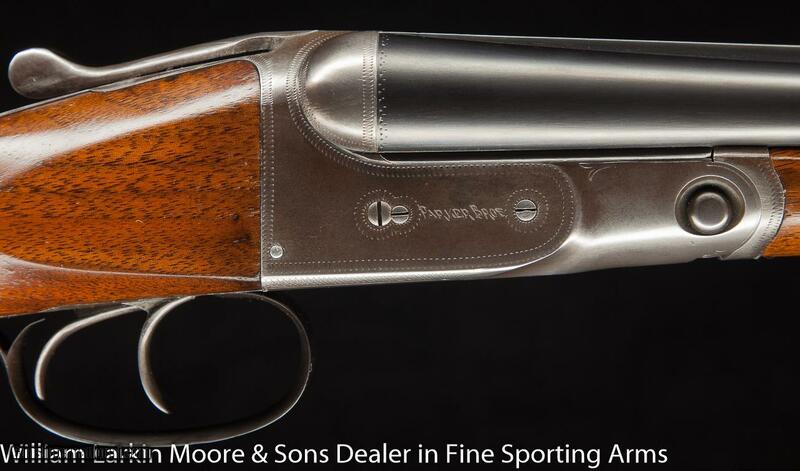 ITHACA GRADE 5 ENGRAVED DOUBLE BARREL 12 GAUGE SHOTGUN: Boxlock, 32” barrels, excellent bores, full coverage engraving in floral motifs with pheasant and partridge scenes on the sides and a bald Eagle on the underside. 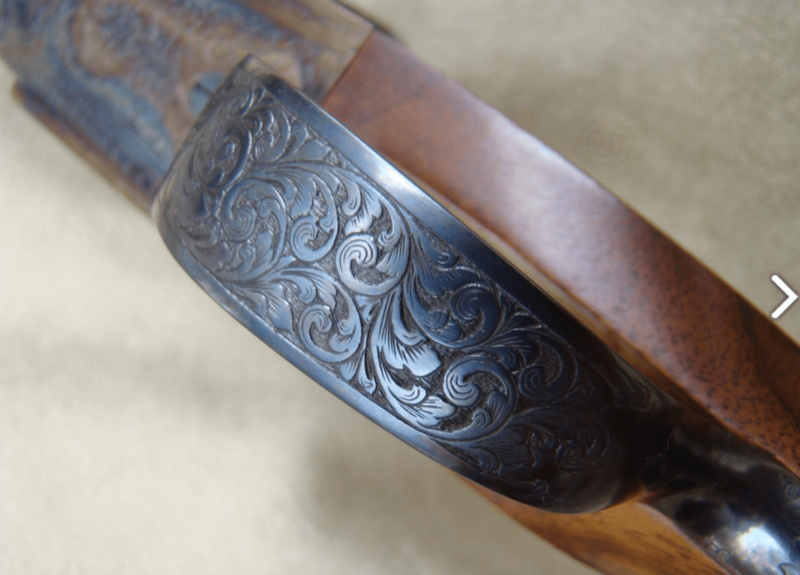 Fancy checkering on splinter forearm and pistol grip buttstock. 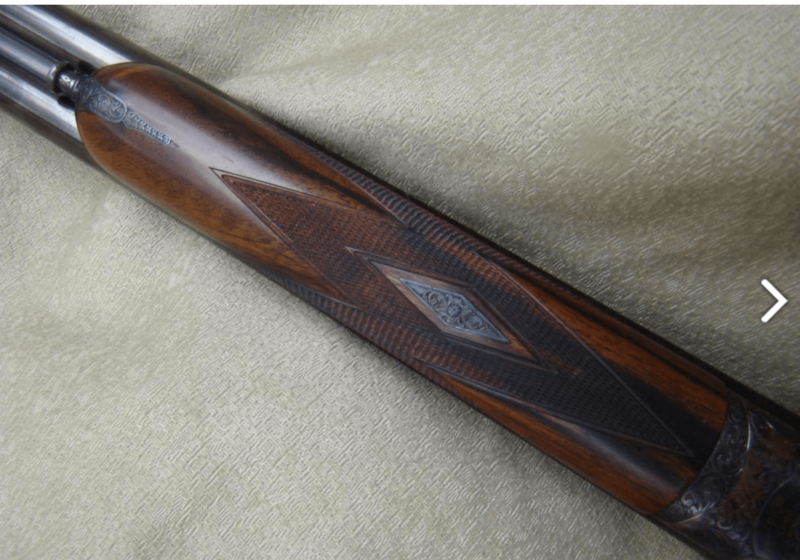 Deluxe walnut generally very nice with a couple of coats of lacquer having been added, some chips of finish have been knocked off buttstock from use; original hardrubber buttplate. 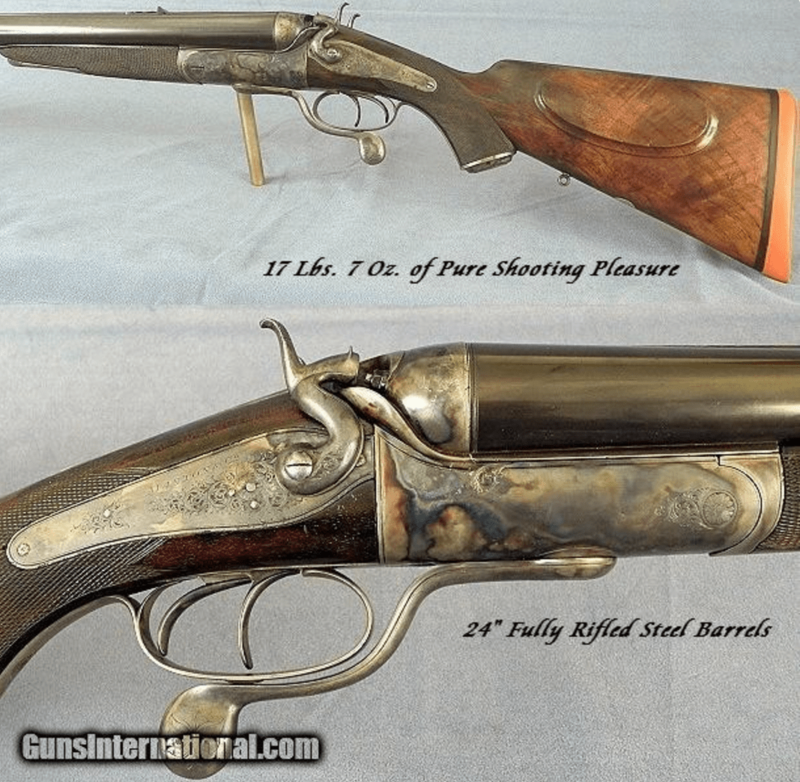 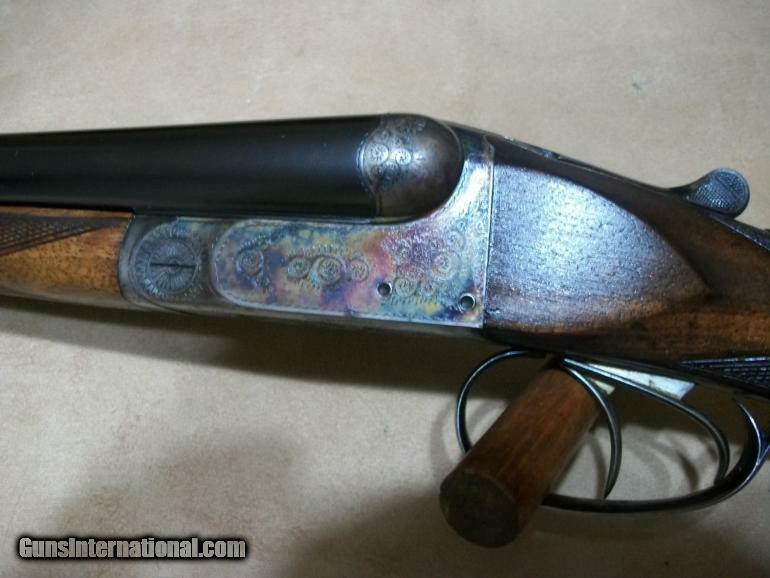 Considerable darkened receiver case colors present, most gold wash remains on double triggers, 90%+ blue on barrels. 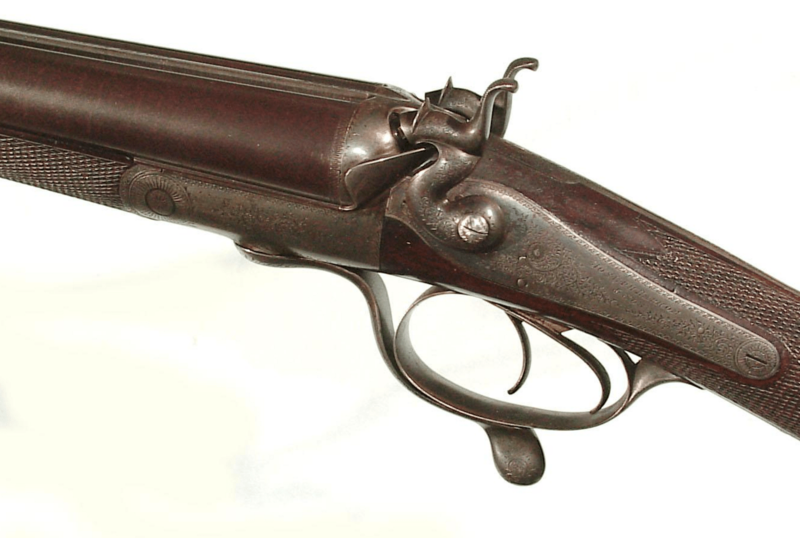 Overall, a fine gun. 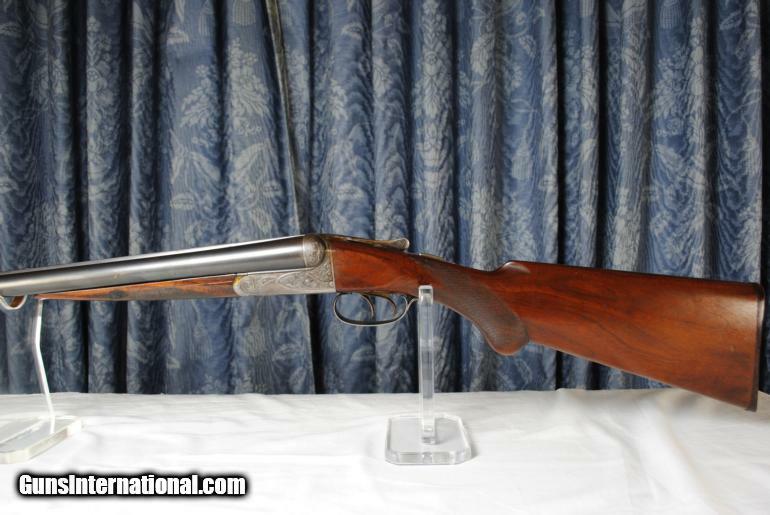 Price: $ 6,500.